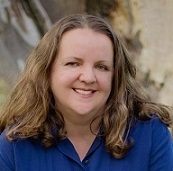 There are no hard and fast rules, from a publisher/author perspective, on how and when to set up print book and ebook pre-orders. Traditional publishers tend to set up long pre-orders, often many months prior to the book release date. Book stores will order stock in advance of the book release. Retailers want the boxes of books to arrive at their stores prior to the book release date. Distribution channels are set up by the publisher to encourage early orders from retailers and customers. Authors who publish independently have the flexibility to choose where they offer their books for sale, and whether or not they want to set up a pre-order for their book release. For example, I set up the Kindle pre-order for my May 29 indie release (Solo Tu) at the start of April. Solo Tu is Book 7 in ‘A Tuscan Legacy’ contemporary Christian romance series. Our Tuscan Legacy author group decided to release the books weekly, and we wanted all the ebooks to be available on pre-order for 99 cents (US) prior to Book 1 releasing on April 17. This gave our readers the option to pre-order all 9 books in the series at the heavily discounted price. The normal price is 2.99 (US). Our marketing strategy, combined with the pre-order pricing strategy, has so far seen the new release ebooks rank in the Kindle Top 10 in the Contemporary Christian Romance category. This may not have happened if we hadn’t set up all the pre-orders weeks in advance. The pre-orders are added into the sales figures when the book releases. For ebooks, this improves the initial sales ranking for the book. For print books sold online and in stores, the availability of the book via retailers on the release date is important. If a shipment of print books doesn’t arrive at the stores in time, the book isn’t on the shelf for customers to buy on the release day. This could negatively impact the overall sales performance of the book. I personally prefer my indie ebooks to release near the end of the month. The major ebook distributors pay monthly, and I get paid earlier if my release date is toward the end of the month. Traditional publishers often release books early in the month, and Tuesday is a popular day for new book releases. I’m going to use Amazon Kindle as an example of how pre-order pricing works. Amazon guarantees their customers will be billed the lowest pre-order price for the Kindle ebook on the actual release day when the ebook is delivered to the customer’s account. As a result, it’s illogical to increase the price of an ebook during the pre-order period. Decreasing the price during the pre-order period will result in all pre-orders dropping to the lower price. A longer pre-order period provides publishers and authors with more time to market the book prior to the release date. Endorsements can be collected to add into the final version of the book. Authors can share the ebook with their street teams and bloggers and reviewers to create buzz and about the book before it releases. NetGalley provides reviewers with an opportunity read books for review prior to the release date. Advanced reader reviews can be posted on Goodreads. 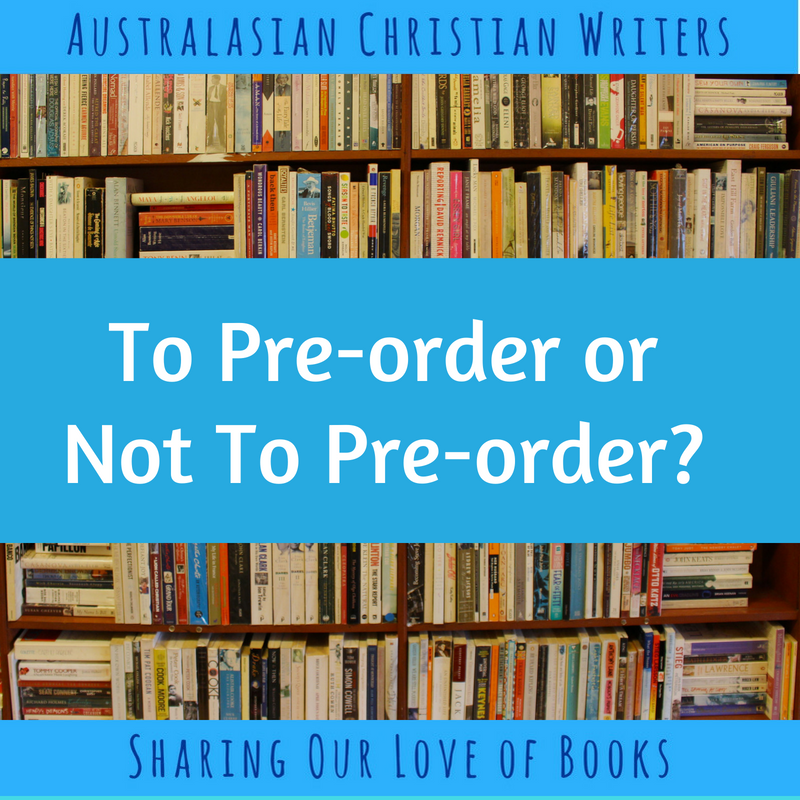 Pre-order Deadlines: What happens if the pre-order deadline is missed? There are negative consequences for publishers (including indie authors) who miss their pre-order deadline which results in the cancellation of the book release. These consequences are outlined in the contractual arrangements with each book seller and distributor. Book publishing is a business and it’s unprofessional to not deliver the product you’ve promised to your customers. It’s disappointing for readers to receive the email advising that the book they’ve pre-order has been cancelled. Indie authors have the freedom to choose how and when they publish. This freedom comes with responsibilities and obligations. All publishers need to be realistic regarding the publishing deadlines they set. They may choose to publish immediately once the final version of the book file is ready and not set up a pre-order. They may choose to set up a pre-order once they reach a certain stage of the book production process and are confident they can meet the pre-order deadline. What do you think of pre-orders? As a customer, I love pre-orders. I subscribe to author newsletters primarily to keep track of their book releases. I pre-order early, knowing I’ll likely forget to buy the book later. 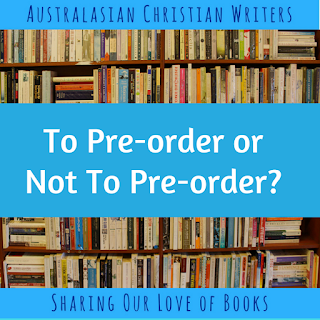 I’d love to hear your thoughts and experiences with pre-orders from a publisher or author or customer perspective. I'm not yet published, but I love pre-orders as a customer. Time zone differences mean new releases arrive on my Kindle at around 7pm on release day, just as I've finished dinner and cleaning up, and am wondering what to read. I also like pre-orders because the books are often on a sale price, and because it means I know I've bought a book I want. I find it really annoying when an author has a cover reveal or otherwise promotes a book I decide I want to buy, and it's not actually for sale. I used to do cover reveals months in advance for my trad titles, but the pre-order on Amazon, The Book Depository etc. was already set up by my publisher. It’s definitely a lost opportunity to reveal a cover without having a sales link ready to go. 1) Allows street team members and ARC reviewers to purchase the ebook at a good price to gain ‘verified purchase’ on their review. 2) Rewards loyal readers who subscribe to the author’s newsletter and buy every book. 3) Publishers/authors effectively train their avid readers on how to buy/read the books. I think readers can get frustrated if full price pre-order/new release ebooks go on sale too soon after the release. Next time, the reader may wait to buy, just in case the ebook goes on sale before it reaches the top of their tbr pile. I'm a bit mixed when it comes to pre-orders. Conceptually, I love them as a reader. And for Kindle orders, they're great because the book lands on the day of release. However, I find with paperback pre-orders seem to get delayed postage and so rather than receiving them a few days after release I get them a good 4-6 weeks after release which kind of defeats the purpose as a reader. Yes, the author gets the benefit but part of the idea of a pre-order from a reader's perspective is you receive the book 'early'. I find if I order a paperback on day of release it arrives sooner than if I pre-ordered it months earlier. Now a question for Narelle. For an author when's the best time for a reader to pre-order to maximise the sales stats figures? A few days prior to release or months prior? Hi Ian, I’m sorry to hear that you’ve had print book pre-orders with a delayed delivery date. That shouldn’t be happening if the book is POD (print on demand). I remember when my debut book released that a bunch of readers contacted me the week before the release date to say their print pre-order had been canceled because the stock wasn’t available to fulfil the order. I contacted my publisher and within 48 hours the issue was fixed. For the purposes of authors wanting to hit NYT or USA Today lists with their print releases, buying on the release day counts in the same way as a pre-order. My understanding is they count the pre-orders and sales from certain vendors in the release week. To answer your question about timing, it really depends on what release strategy the author is undertaking. I’ve been researching this and learning that successful authors approach their book launches in a variety of ways depending on their goals and the book genre/category. What works for the romance genres may not work for non-fiction. At present I’ve heard from a few places that the Amazon algorithms seem to reward consistent daily sales from readers who buy multiple books in that particular book genre/category. This is consistent with authors reporting that the long sales tail they used to receive from buying certain ads isn’t as lucrative as it used to be a few years ago. That said, there are more books for sale now and the number exponentially climbs each year. It’s harder to achieve the sales to hit the Top 100 on the popular category lists and stay there for any length of time. Authors primarily send out a newsletter when they want pre-orders/sales, so purchasing when you receive a newsletter with sales links is a good idea. Thanks, Narelle. Okay, that's good strategy, wait for the request from the author via their newsletter. BTW, you Tuscan novel just landed on my Kindle as expected because it's a Kindle order. Happy release day, my friend!